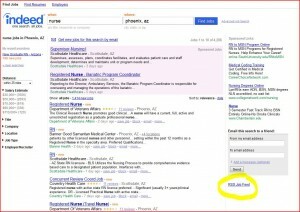 Let’s be honest – searching for jobs online is a laborious, tedious task. 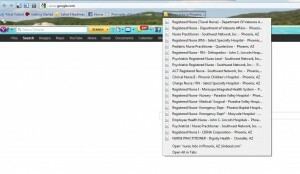 Making matters even worse, online job boards are sprouting up like weeds. Jobing.com, Careerbuilder.com, Monster.com, Dice.com, Craigslist.com, Indeed.com – you could spend all day, surfing from site to site, manually entering the same 5 or 6 search terms, then scrolling through the results. Let’s say you visit those six sites mentioned in the last sentence, and at each site you enter 6 keywords to search for. That means you’re typing terms like “project manager” or “human resources generalist” 36 times…per day. That’s wasted effort and we’re going to show you how to automate the process by taking advantage of RSS Feeds. Wikipedia offers a more robust definition, but for the purposes of this article, all you need to know is that RSS stands for “Real Simple Syndication” and it’s a web technology built to push content from websites to the user’s desktop. Traditionally used by blogs, magazines, news outlets and other sites that provide regular and timely updates (including this one! 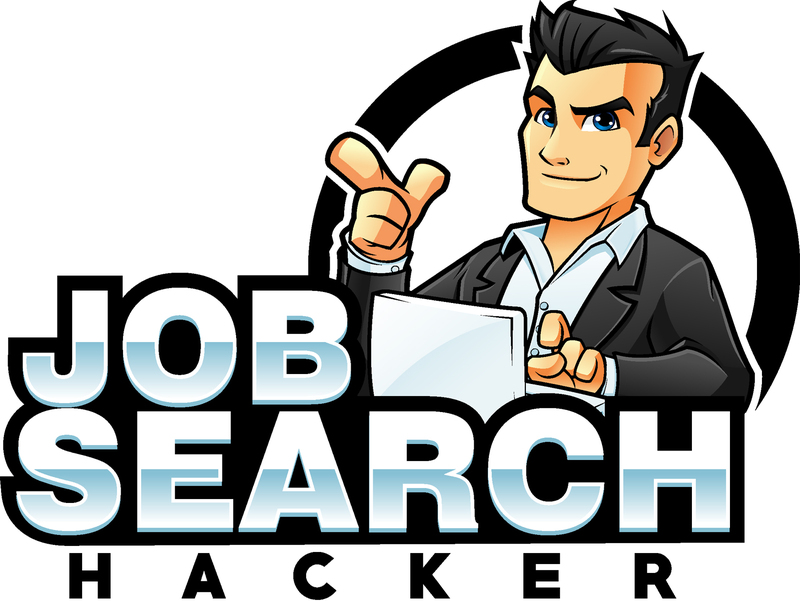 ), RSS Feeds can also be hacked to deliver job search results right to your computer. No longer will you need to visit the site and key in your search terms. 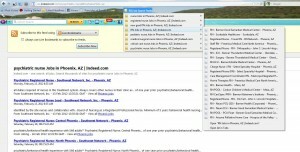 RSS Feeds will save your searches and constantly provide updates in your browser or in MS Outlook. Let’s get started. For the purposes of this demonstration, we’re using Mozilla’s Firefox. Our opinion is that it’s a superior alternative to Internet Explorer. 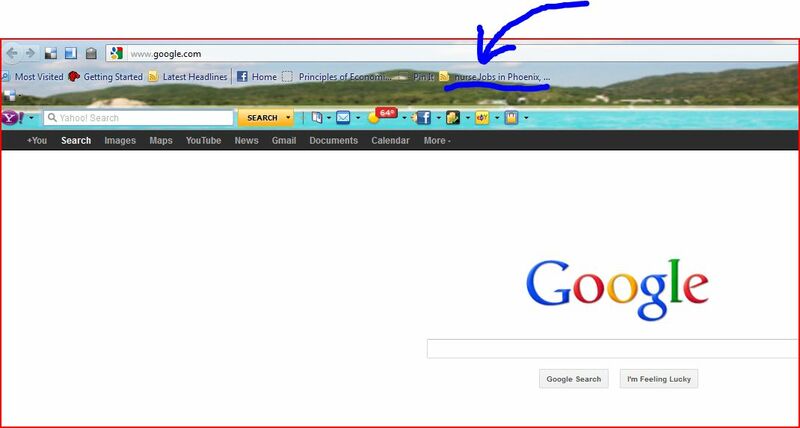 While the details might be slightly different for setting this up in Chrome or Safari, the steps will be generally the same and you should be able to figure it out without much trouble. Step 6.) Next, you’ll be prompted to enter a name for this feed. You choose anything you like. 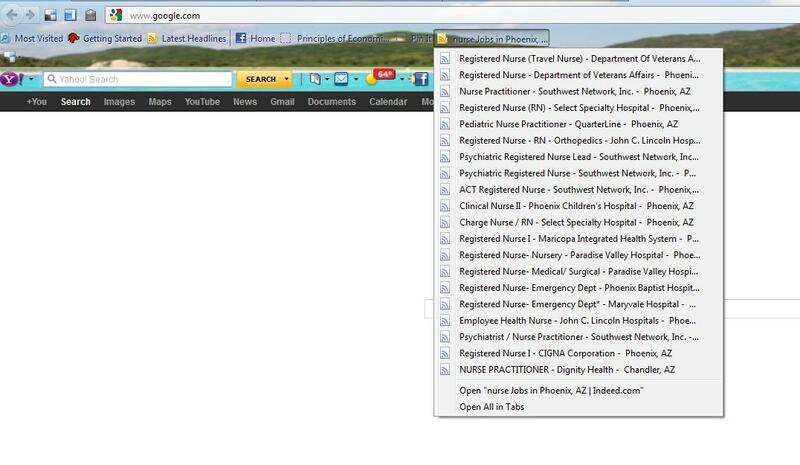 I just kept the default “nurse jobs in Phoenix, AZ | Indeed.com” and I selected “Bookmarks Toolbar” for the folder. Click subscribe and you’re done! 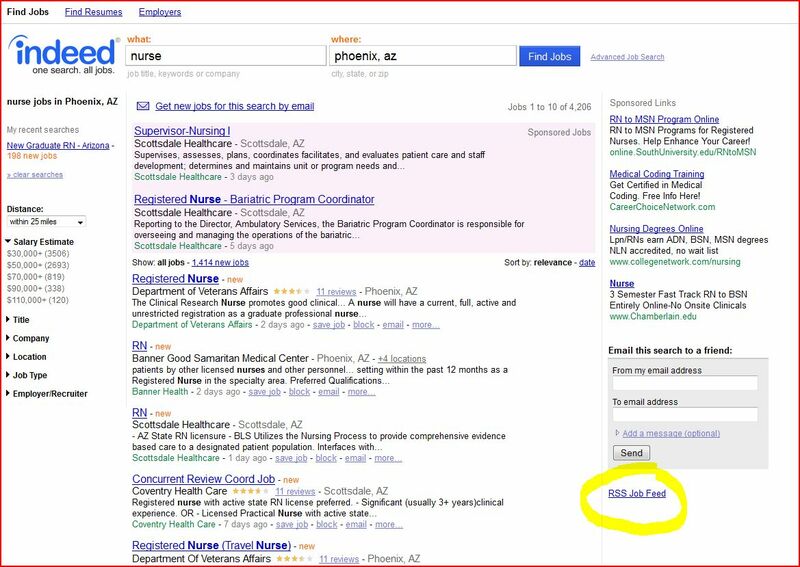 With one click, you’re able to see all the results of a search for “nurse” on Indeed.com and the results are delivered in real-time. But the real value of this comes from scaling it up. But before we start cluttering up the toolbar, let’s create a new folder first. In Firefox, this is easy. 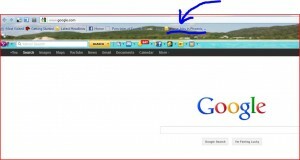 Just point your mouse on the toolbar and then right-click. You will be given the option to create a new folder. Select that. I have have chosen to name mine “RSS Job Search Feeds”. 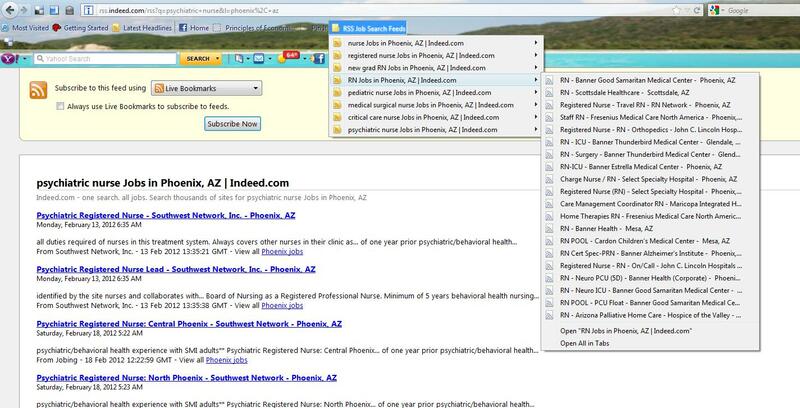 Now, left-click (but don’t release) “nurse Jobs in Phoenix” on the toolbar and drag it over and drop it into the new folder that you just created it. Now, repeat this process for all the search terms that you regularly run on Indeed, and then drag and drop the RSS feeds into the folder. Now, every time I fire up my browser, I click on “RSS Job Search Feeds” and I can quickly scan all those search results without ever having to visit the site!